Others tell entire tales within the confines of a few sparse lines, such as ‘The Gift’, in which a stranger arrives on “a day so hot/the rooftops wobbled” and, later, “sirens made a mess of the quiet”, while in ‘The Horse Rider’s Code of Conduct’, a list of rules melts into yearning with lines like “I reserve the right not to ride a horse/allocated to me but usually I am glad to get close to them,/to know their quietness”. By the time you reach the end of this weaving, rippling collection of poems, you’ll realise you’ve been reading tales that reek of morality and the lack thereof, and the consequences of that in all lives, great and small. 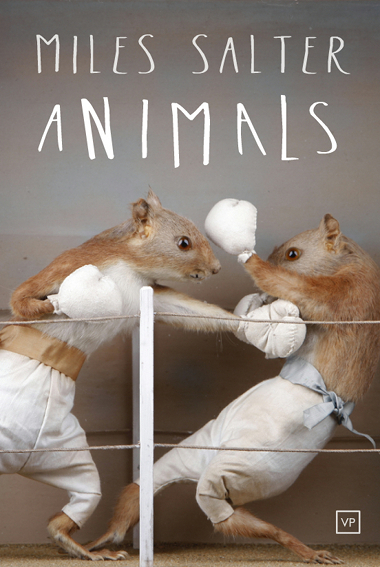 Animals by Miles Salter is published by Valley Press and is available to buy from Amazon. Read Miles’ tips on making it as a poet. This entry was posted in Reviews and tagged Animals, Miles Salter, poetry books, reviews by Judy. Bookmark the permalink.